Germany is a founding member of the European Union and a key member of the continent’s economic & political organizations. Over its long history, Germany’s political unrest and the need for change led to revolutions for democracy and unification—many of which left their mark and shaped the modern world we live in today. Neighbouring Austria is no less exciting. Home to spectacular natural landscapes, impressive architecture, and world-renowned monuments, Austria is one travel destination you’re going to want to spend extra time visiting! Germany & Austria are popular travel destinations among teachers & students alike because of the vast amount of things there are to see and do! From learning about World War II and how it impacted the entire world to visiting the Berlin Wall, the Schönbrunn Palace, or going on a guided tour of the famous composer Mozart’s house—there’s no shortage of unique adventures for you and your students to embark on in these two fascinating countries! 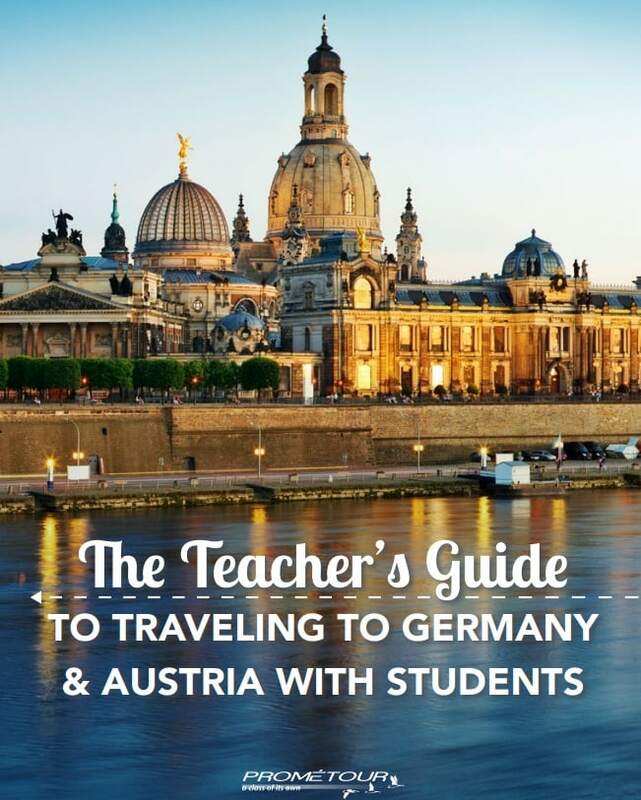 Fill out the form to the right to have your free copy of this guide delivered straight to your inbox and begin planning an educational student tour to Germany & Austria that your students will never forget!